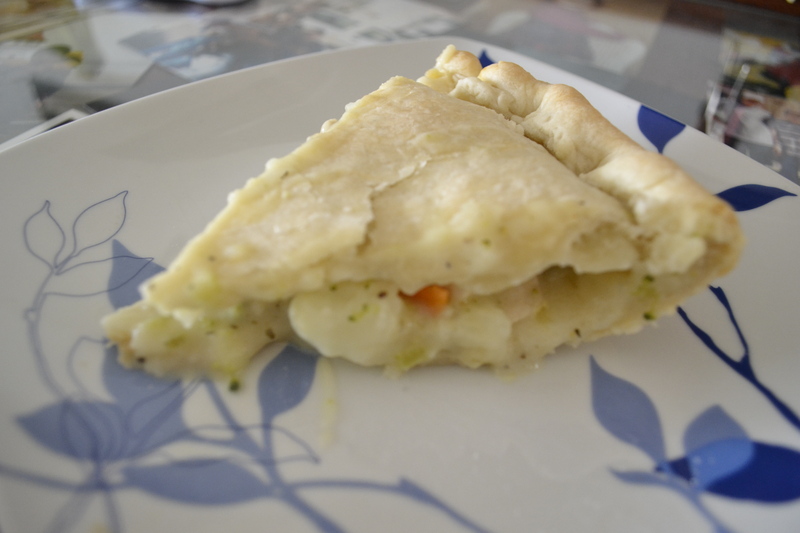 I have been making Chicken Pot Pie for the past 15 years and it is definitely a family favorite. 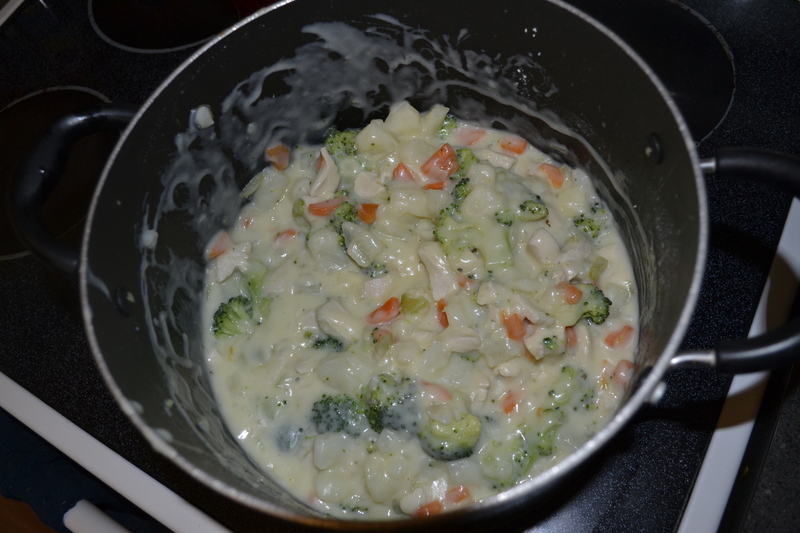 I decided to put small pieces of broccoli and guess what, it is now a favorite vegetable for my kids! 1 Chicken breast cut into small chunks, boil until done and drain water, set aside. Wash, peel and cut all vegetables, boil them or cook in the way you desire, set aside. 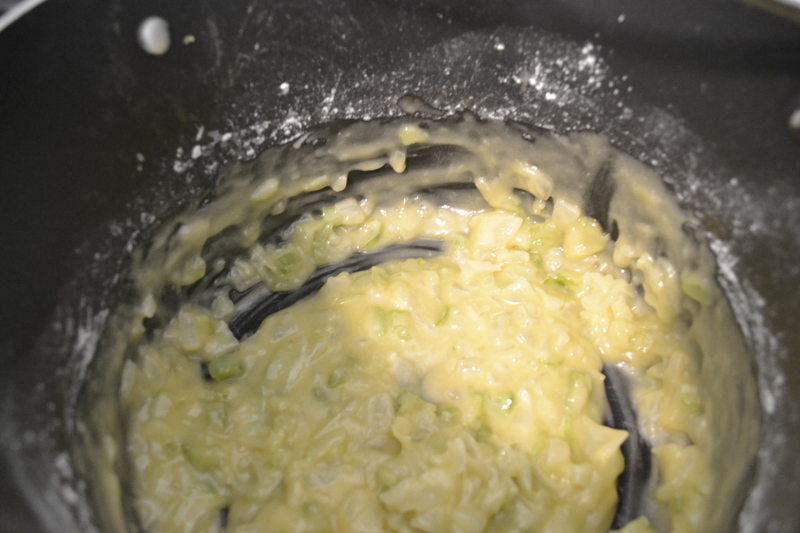 Melt butter in large pan, add onion and celery, saute until soft. Add flour and whisk well making a roux. Let it bubble. 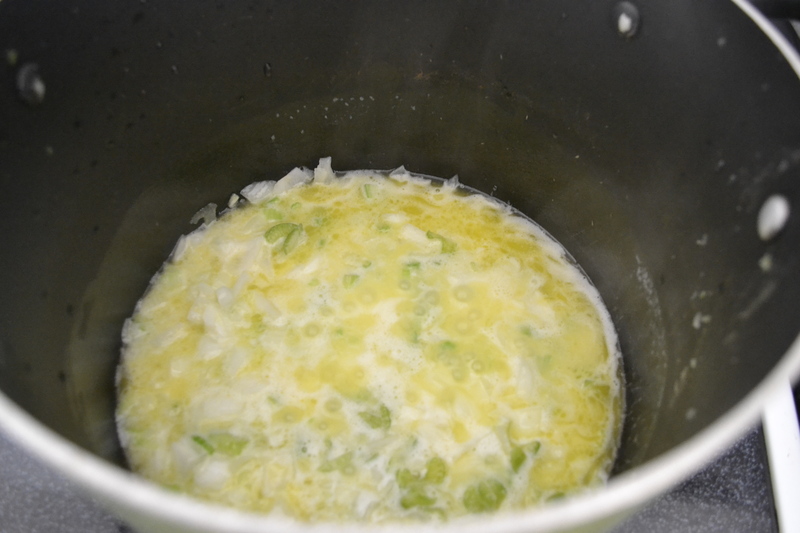 Add milk and broth mixture. Cook this mixture whisking continually until it boils, continue cooking an additional 2-3 minutes, add basil and salt. salt is an estimate. Add all of your vegetables and chicken, mix well. Season for taste. 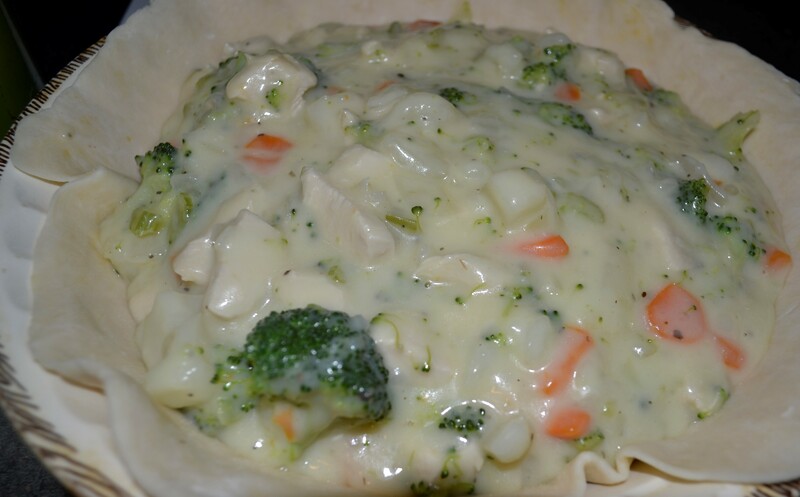 Roll out crust and place on the bottom of baking pan, pour chicken pot pie mixture on crust. 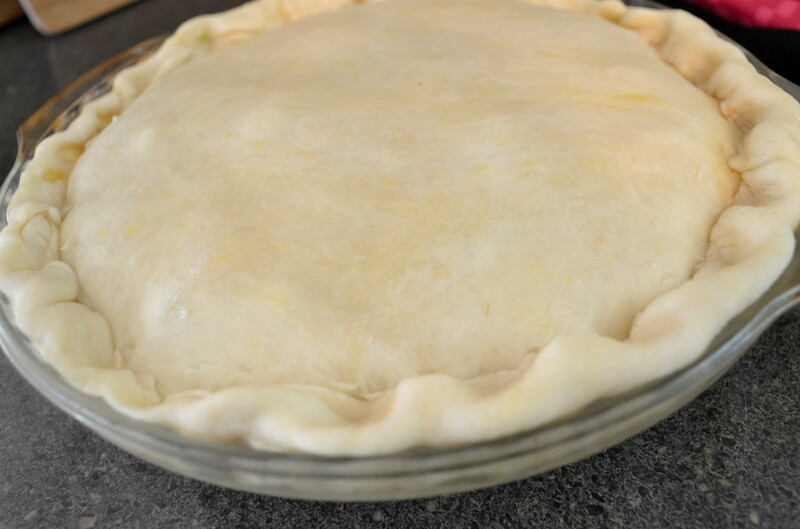 Roll out second half of dough and make a top for the pie. Place on top of pie and seal. Bake in oven for 50 minutes or until done. 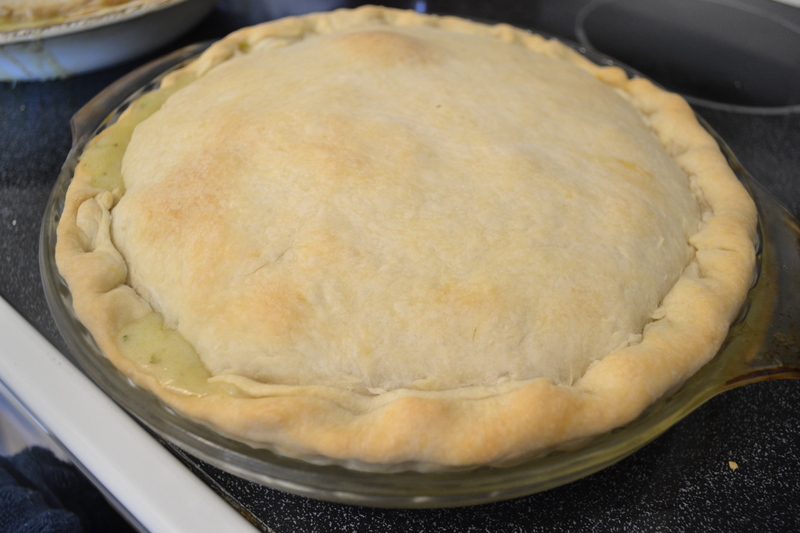 Remove from oven and let set a few minutes, pie will be very hot!